I'm the Luckiest Woman Alive! I hadn't mentioned much about my trip on my blog, but my boys and I went back East for Spring Break. Sean was working, so I thought that it was a good opportunity to take the boys back to Winnipeg and Thunder Bay to see all of my relatives. My hubby not only works full time as a firefighter, but is also primary caregiver to our two little boys. He is one of those people who just doesn't know how to relax! Once the trip was planned I kept emphasizing to my hubby how he was supposed to take some time for himself in the 6 days we were away. Well... he failed to do that and instead, spent it doing something absolutely AMAZING for me! He took everything out of my craft room, filled every little hole in the walls and painted it for me. He even took a piece of my Baja Breeze cardstock to the paint store to have it matched as we had talked about how that was the colour that I was hoping to paint it this summer. The only downfall to him having done this wonderful thing for me was the he realized just how much stuff I had in my room... it's hard to hide it when he had to move it all out load by load:) I'll include one more photo as a separate post after this to show you one last photo! If you would like a room like this for yourself, I have a few words of advice for you... first, make a mess on the dining room table for long enough that your hubby eventually gets frustrated and tells you that you need your own room to contain it all. Second, be working towards the goal of a free cruise for you and your husband (I'll give you details this week:) and then he will be completely on board! I hope you like my new room! 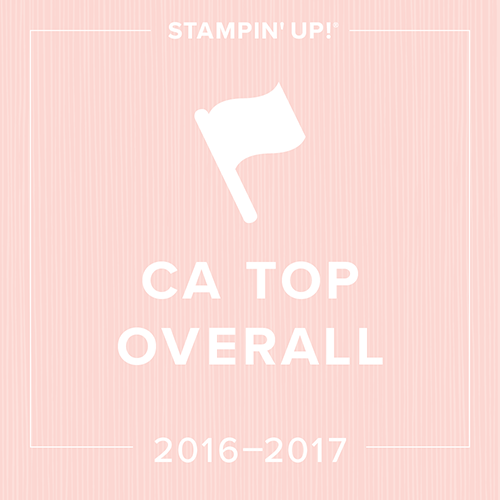 You only have until tomorrow night to take advantage of Stampin' Up's annual Sale-a-bration Event. As the items in the Sale-a-bration catty are specific to the promotion, you will not be able to get hold of these items again through Stampin' Up. If there is a last minute order that you are wanting to put through, please make sure to get it to me before 9pm tomorrow (March 31st) so that I can put it through in time for you! You can also take advantage of ordering through my Stampin' Up website by clicking on the Shop Now link on my sidebar! Remember that for every $60 you spend you can choose another item from the flyer! ooohhhh, ooohhhh, oohhhh... I'm in Love! This is one of the new and adorable stamp sets from the Mini Occasions catalogue called Scene In A Garden. I was smitten as soon as I saw it, but when I finished this card it went from being smitten to completely in love! I don't know what it is about those adorable little rubber boots and the birdhouse, but I adore it! These images were stamped on watercolour paper and then coloured using a new technique that I'll be teaching in Marker Club next month. The Thank You sentiment is from the new Summer Love Rub Ons. I will admit that Rub-Ons and I have never really "connected", but the colours in this set inspired me. If you want to come and see some more of the adorable things that I've created with the new Occasions Mini make sure you RSVP to my Open House for this coming Saturday. Well, Sale-a-bration is coming to end; there's only one week left. With the end of the Sale-a-bration promotion comes the end of the fabulous deal to join Stampin' Up right now. During Sale-a-bration, in addition to the fabulous deal you get on the items in the Starter Kit, you also receive an additional stamp set from the catalogue for free (up to $56.95 in value). 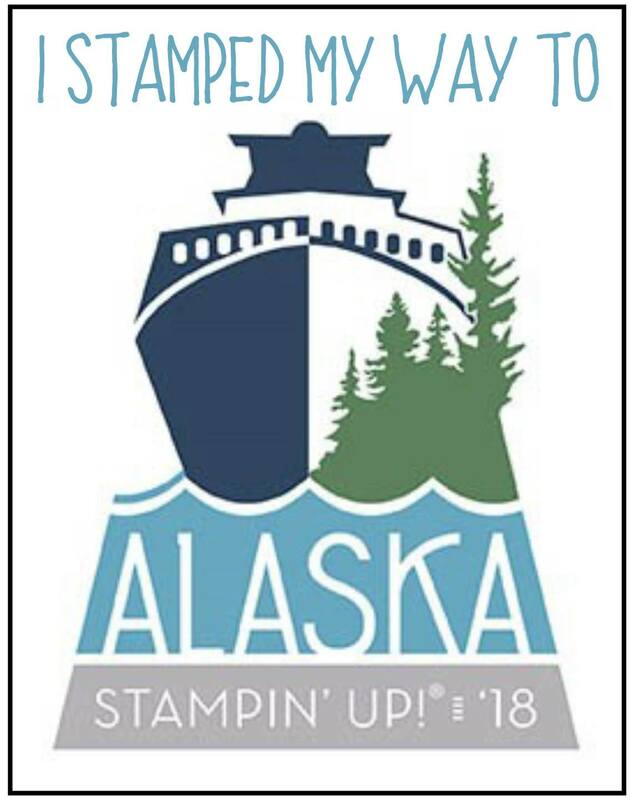 Stampin' Up really decided to go for it when they added the additional 15% off of the starter kit making it even more affordable (regular $249 on for $209). For this last four days of March, if you decide to join my team, The West Coast Creators, I will give you an added bonus! I will add in an additional stamp set for free (up to $56.95 in value). That means that you will get over $500 in stamping products for only $209! 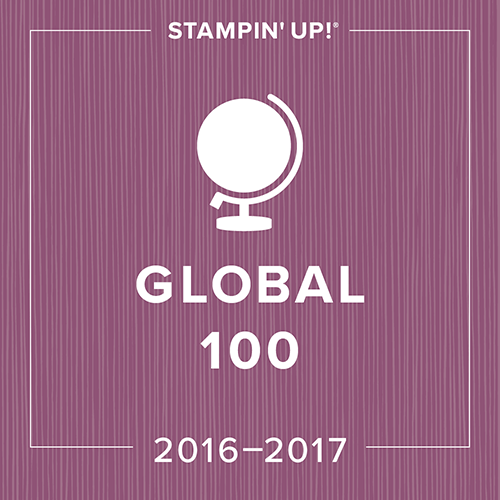 Stampin' Up does not charge the 10% shipping on the Starter Kit so that is an additional savings! You don't have to live in Vancouver to join my team, as long as you are living in Canada! I look forward to working with you on building your Stampin' Up business, or helping you just receive a great discount for your own private purchasing. Feel free to call me with any questions or check it out by going to my Demonstrator Web Site and clicking on Join Me. The password that you'll need to enter is scrapaholic. Not surprising is it???? Remember, this fabulous deal ends on March 31st at 10:50pm, absolutely no exceptions! This was another technique that we worked on in club this month. My ladies have been dying to use the chalk pastels and this seemed like a great month to demo this technique as the pastels are part of the Starter Kit that is on sale for another week. I've tried it several different ways and the one that works the best for me is to stamp the image with Whisper White Craft Ink and then apply the pastels. People recommend doing it one of two ways, either with the Craft Ink or with Versamark. Although both ways worked for me, I had more consistent results with the Craft. The image has much more depth than it appears in the photo; I couldn't get the light to hit the card right. The textured paper that Stampin' Up has brought out is the finishing touch that has been missing. I love it when I create a card that can be used for the men in my life, and this is one! This is one of the cards that we will be doing at my Technique Club tonight. I cased the idea from a card that I saw at Leadership Conference when I was in Orlando this year. I absolutely love the texture that this adds to the card and let's face it, before I got into Stampin' Up I was a bit of a Cuttlebug junkie and I love the fact that Stampin' Up has added the even better Sizzix version to its line! When I first joined Stampin' Up I wasn't sure that I would ever be able to give up all of my toys for stamps; what I didn't realize was that the stamps would become my toys and that Stampin' Up was going to supply me with an endless new wish list! Did you notice the adorable new embellishment in the corner? This is the new matchbox die and the coordinating stamp set from the new Occasions Mini Catalogue. One week and counting until you can order from it! Technique Club Sign Up Starts Now! My new Technique Clubs are starting in May... don't miss out! joy to anyone who receives it. A perfect gift for Mother’s day or any day! These beautiful projects feature the Petal Party Simply Scrappin’ Kit and the Best Wishes & More stamp set. Bright colors and bold flowers make this project bloom! All the inspiration you need to make a beautiful, heartfelt gift. Recreate the set using other Simply Scrappin’ Kits for Father’s Day, birthdays,wedding gifts, graduations, bridal and baby showers! Well, this is one of the cards for my upcoming Stamp-a-Stack on March 29th. I finally got to use my new embossing folder. 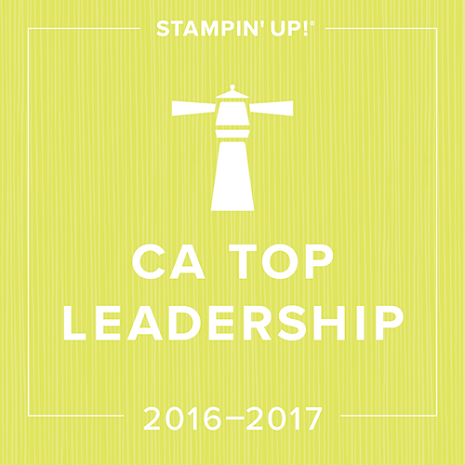 This is such a fabulous addition to Stampin' Up's line. It was one of the few things that I felt like was missing. All I did was to run the cardstock through my Big Shot and then I used a sponge dauber to add colour to the raised part of the image and around the edges of the card. It is hard to tell from my photo, but it is on a Chocolate Chip mat and then mounted on Very Vanilla Cardstock. This is the final sample from my workshop the other night. Before I had the ladies begin the stamping on the Fifth Avenue Floral card, I thought that I would introduce those new to stamping gently. This is an extremely simple card that I cased from Andrea Walford. Once again it makes use of those fresh In Colours. Can you tell that I am absolutely dying for spring to arrive:) All of the sayings that we used were from the Sweet Serendipity stamp set. Every saying in this stamp set makes me smile. The best part about this card is that there is no right or wrong. You can stamp the flowers in which ever colours you like and in whatever pattern you like! If you are interested in taking advantage of this promotion, please contact me as soon as possible as we do have to send in applications by mail to take advantage of this promo; online applications will not have access to this offer. These were part of a gift that I made for the hostess of a workshop the other night. They are the most simple cards to make, and are so stunning in person. I cased these from a woman named Rose Ann Reynolds. I made 4 of this little card using the Fresh Cut Notes, Fresh Cut stamp set, In Colour buttons and the coordinating In Colour ribbons. It was completed her gift by putting them all in a little bagalope. I used my favourite In Colours: Pink Pirouette, Riding Hood Red, Baja Breeze, and Kiwi Kiss. I did a workshop for a girlfriend the other night and this was one of the cards that we did as a make-n-take. It is such a simple card to make, but it shows off how effective this stamp set can be even for a "newbie" stamper. All of the ladies did a beautiful job on their cards and added their own creative twists. It's funny, but when I think of this stamp set, my natural tendency is to gravitate towards my In Colours. It's got that "funky" look to it. As always, every $25 you purchase in the month of March will get you entered into this draw, whether it is a workshop, online or regular customer order. The only purchase that does not count is the initial $25 of club purchases, but anything spent above and beyond counts! I thought I'd pick this set and get somebody all set up for their Easter stamping:) Enjoy! I realized as I was writing these posts that I had already posted three of the cards and the case when I advertised the class so I won't bore you again with those. This was the last card that we did and again the DSP was from the Juntos set in the Spanish Stampin' Up catalogue. I do have a few of the kits put together to complete the gift box and 6 cards. The first five people to order the Trendy Trees set can have these for free, they'll just need to cover the shipping, but as it is only the size of a stamp case and is extremely light I imagine it will be cheap to ship. If you're local, you come and pick it up from me at no charge:) If you already have the Trendy Trees Set but would like the kit, you can purchase these for $6 + s/h. Remember, I've only got a few so if you're interested respond quickly:) They make a fabulous gift! This was another one of the cards that I created for my Trendy Trees class. Can you tell how much I love Earth Elements from this card:) If you're wondering about the gorgeous DSP in this photo is from a DSP set called Juntos in the Spanish Stampin' Up catalogue. I have one if you're ever over and would like to take a look. There are only a few DSPs that differ from the regular catalogue, but they are very gorgeous. 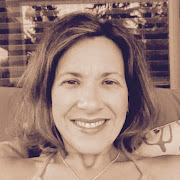 In the blur that was the first week of March I forgot to post the February Stamp Set Giveaway winner... drum roll please..... Mindy Bing! It's you! I hope that you enjoy this new stamp set! I'll post March's giveaway tonight! My mom and dad are in town so Sean and I are going to escape out for dinner together... we were even contemplating a movie but aren't sure if we can stay awake:) How pathetic is that? Well, my Trendy Trees classes are now over and the only thing left to go out is the take home kits for people who've ordered them. I've got your kits all ready and your stamps arrive Monday so I'll have them out to you on Tuesday. I thought that I'd share some of the cards that we made; some I cased and some I created... hope you enjoy! This one was my absolute favourite and I think that it's the colours that make me feel that way... that and the adorable corduroy brad:) I kept this card simple when I was designing it because on top of decorating the card case the ladies had six separate cards to make. They all quickly realized how useful a stamp-a-ma-jig is! I knew the moment that I saw this stamp set that it would be at the top of my list; now I am tempted to say that it is one of my all time favourites. For many, making sympathy cards is not an easy task as we have to keep it low key and subtle. This stamp set allows this is so many ways. It is a double mounted stamp, and the images on both sides are absolutely stunning. Although I wish that we could all avoid the instances in which sympathy cards are necessary it is a reality of life and I love the feeling of peacefulness that I get when I use this set. This was such a simple card to make and yet in person it is so beautiful! I will admit that I am a sucker for the new textured cardstock as well. This DSP is from the Sweet Slumber Set. This was one of the fabulous swap cards that I received at Leadership Convention. I haven't posted it until now as I was planning on using it in my Stamp-a-Stack the second that I saw it. Usually when we swap with someone, there is a recipe on the back of the card that indicates who the creator was as well as all of the supplies used in the card. This particular swap had no information on the back so I can't credit this fabulous idea to anyone, but if anyone out there got a swap with the info please let me know. It is such a simple card to make but looks gorgeous in person. The flower pots are just done using the large oval punch and cutting off the ends! The stamps are from the Pocket Silhouettes set which I get more use out of than you could possibly imagine! The little ledge that the pots are on was done by simply putting a mask over the card base and sponging the colour up and on to the card. Today is my birthday... don't know whether to be happy or sad... I hate seeing the numbers going up, but I love the excuse to celebrate with family (and eat cake of course). The only gift that I'm asking for is a few hours of uninterrupted stamping time. Doesn't that feel like the ultimate present sometimes? Anyone who frequents Splitcoast Stampers as regularly as I do may have seen a concept similar to this card... there are many. I can't find who had the original idea for it so if it was you please let me know and I'll change this post to give you credit:) I adapted what I'd seen to meet my needs. This is one of those simple cards that looks absolutely gorgeous in person. In real life it looks like the butterfly is lifting off of the page. The butterfly is done with the new SU exclusive butterfly die; there are four different sizes of butterfly on it. After we cut out our butterflies, we ran them over the Texturz Plates. We used Crystal Effects to adhere just the crease of the back of the butterfly to the card and to adhere the glass beads to the body of the butterfly. I chose the sentiment from the new SU set called "Hope Happens". I loved it with the butterfly, "Plant your feet and let your heart have wings." Mini Occasions Preorder for Customers Starts Today! 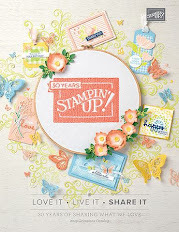 On April 1st Stampin' Up will be launching its' new and AMAZING Occasions Mini Catalogue. As this mini contains some fabulous new stamp sets related to a particular upcoming card occasion... Easter, SU has decided to make a limited number of the sets available early to customers so that you have them in time to make those Easter cards! 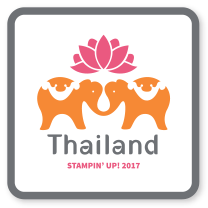 The stamps are adorable too! By clicking here you can go and check out these sets available for customer pre-order. The best part is that they can be purchased in conjunction with Sale-a-bration so make sure that you hit that $60 mark and pick your free Sale-a-bration set! 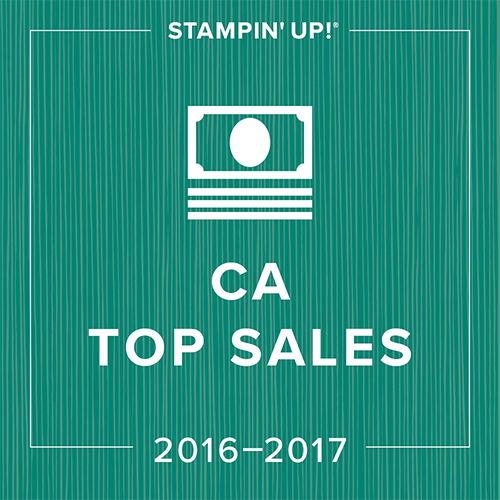 On top of that Stampin' Up is including a catalogue for any purchase over $25. If you've been doing your shopping in the online catalogue, this is a great way to get one in your hands! One of the benefits of being a demo is that we get to preorder the whole Mini Occasions catty early, so I placed my HUGE order this morning. Watch for news on my upcoming Mini Occasions Catalogue Open House! As a special benefit to you, the first 3 people to place orders of $60 or more via my demo website today will receive an EXTRA Sale-a-bration set of their choice directly from me! Just click on "shop now" when you get there and follow the instructions. I'll contact you after your order is placed to find out which set you'd like as your bonus Sale-a-bration set! This was another card that we worked on in the two SAS that I held this week. The best part about this card is that you can make it at home almost for free. I say almost because the stamp set and the DSP used in it are part of the "Sale-a-bration" promotion. For every $60 you spend on catalogue merchandise between now and March 31st, you can pick an item out of this mini catalogue for free. Click on my link for the Sale-a-bration catalogue on my sidebar to check it out. If you look closely you'll notice that the Bashful Blue cardstock is textured with the new texture plates. I love these!